Video Splitter / Video Duplicator - Fil-Nippon Technology Supply, Inc.
Video Splitter There are 34 products. 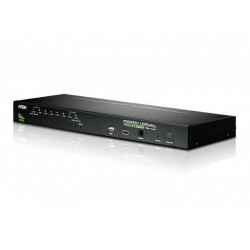 The ATEN VS0102 2-Port VGA Splitter with Audio is VGA splitter that allow a single VGA video & audio signal to be distributed to two output displays with independent stereo control. The splitter support up to 450MHz video bandwidth, which provides optimum video quality, supported by resolutions up to 1920x1440. 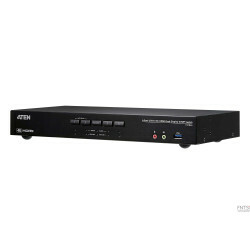 The ATEN VS0104 4-Port VGA Splitter with Audio is VGA splitter that allow a single VGA video & audio signal to be distributed to four output displays with independent stereo control. The splitter support up to 450MHz video bandwidth, which provides optimum video quality, supported by resolutions up to 1920x1440. 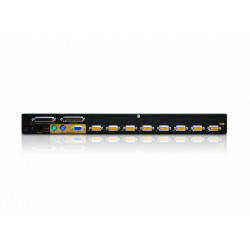 The ATEN VS0108 8-Port VGA Splitter with Audio is VGA splitter that allow a single VGA video & audio signal to be distributed to eight output displays with independent stereo control. The splitter support up to 400MHz video bandwidth, which provides optimum video quality, supported by resolutions up to 1920x1440. 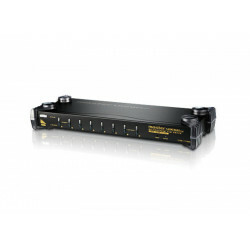 The VS0108H HDMI Splitter is the perfect solution for anyone who needs to send one source of digital high definition video to eight HDMI displays at the same time. It supports all HDMI-enabled equipment, such as DVD players, satellite set-top boxes and all HDMI displays. 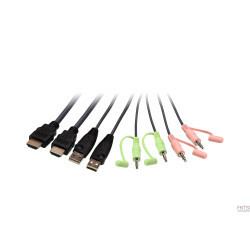 The VS0108HA HDMI Splitter is the perfect solution for anyone who needs to send one source of digital high defi nition video to eight HDMI displays at the same time. 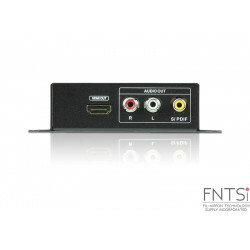 It supports all HDMI-enabled equipment, such as DVD players, satellite set-top boxes and all HDMI displays. 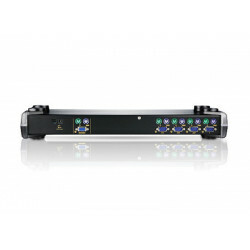 The VS0116 16 Port Video Splitter with Audio duplicates and enhances the video and audio signals from an input source (i.e. 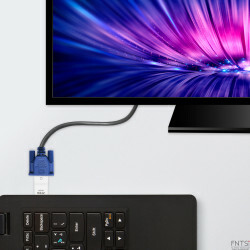 a computer) and routes them to up to 16 output devices (monitors, projectors, etc. 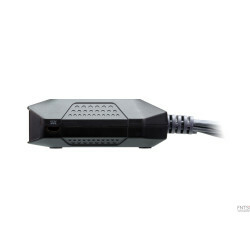 )Furthermore, it can be cascaded to additional ATEN video splitters to support hundreds of monitors. VS102 video splitters provides video input signals to 2 video outputs each at 250 MHz after duplication. Users can boost video signals from the video gain knob within a transfer range up to 65m. The VS134A Video Splitter is a boosting device that duplicates a video signal from one source to 4 output devices. Cascadable to three levels, the VS134A provides up to 64 video signals, in addition to extending transmission distance up to 65 m, making it excellent for public broadcast systems.